If you are looking to buy property in Torrevieja, Spain then you will almost certainly need to find a list of Torrevieja real estate agents. Our list of estate agents also helps if you are looking to find properties for sale or rent, or if you are wanting to sell your own property. If you want to see examples of properties for sale in Torrevieja and surrounding area take a look at the bottom of this page. Torrevieja is a fantastic place to buy a property whether you want to buy a property for a holiday home or whether you intend to live in Torrevieja. Torrevieja used to be a tiny fishing village but it has witnessed a huge explosion in size and population in recent times. Estate agents located in Torrevieja will also be able to help you find property in towns, villages, urbanisations and developments close to the Torrevieja area. These include: Dona Ines, Los Balcones, Residencia Los Altos, Villa Rosa la Cinuelica, Los Montesinos, La Mata, Pinomar, Portic Mediterrani, El Moncaio and Portic Platja. Altos del Limonar is a relatively newly built urbanisation conveniently situated and with a large Irish bar on the urbanisation. El Paraiso urbanisation was built around 1990 and is less than a 3 minute walk to the nearest beach and a 20 minute walk into the town centre of Torrevieja. The San Luis and La Siesta urbanisations well rated and there is a regular bus service into town every hour. El Salado 11 is near to La Siesta, a gated community with pool. Torrevieja is about a 20 minute walk. The Torretta urbanisation is also popular, there are Torretta I, II and III. To give you a guide of distance, Torreta III is about 4km to the Plaza de Constitution in Torrevieja so once again a bus journey is required. Estate agents in Torrevieja are also known as inmobiliaria so when searching on the Internet for estate agents also try typing in Torrevieja inmobiliaria and you will get a lot more local Spanish estate agents turn up in your property search. We are a real estate in Torrevieja with more than 20 years of experience selling new build and second-hand properties in Costa Blanca and Costa Calida. We offer a wide range of homes for you to enjoy your well-being on the Spanish Mediterranean coast: townhouses, apartments, penthouses, duplexes, bungalows, chalets, flats, etc. Whether you are looking for a holiday home near the beach in Punta Prima, Playa Flamenca, La Zenia, Campoamor or Cabo Roig, a full time property to enjoy your retirement near the golf courses in the famous areas of Villamartin, Las Ramblas, Las Colinas or Ciudad Quesada, or a profitable investment in the areas with the best option for a good return, we will find you the property you are looking for in Spain. Our new build real estate in Spain has an expert team of real estate agents with knowledge of the area and with the mastery of several languages. We help customers from the first contact and make your investment a satisfaction. Av Gregorio Maranon 70 Bajo, Torrevieja. Av de la Libertad 4, Torrevieja. Urbanizacion Rocio del mar, Local 6- Torrevieja. Address: Calle Acaretos 3, 1ª Planta, Torrevieja. Fiesta properties is a collaboration of several well appointed and experienced minds in the business. Together we can help you secure your holiday home, investment or even just a short holiday in this beautiful country. A wide variety of properties in the area between Alicante (Costa Blanca) and Murcia (Costa Calida) against the best prices on the market. Our moto is; If we do not have it, just give us an idea of what you are looking for and we will find the right property for you! Real Costa Blanca is a flexible and professional Real Estate office in the Costa Blanca south of Spain. Our Head Office is located in Torrevieja at an easy to reach location next to the parc of Nations with plenty of parking space! Real Costa Blanca has been founded by two people who have earned their stripes in this region of Spain over the last 7 years and have proven to be successful in what they do, especially because we can tell you from the start what you can expect from us! Our multi lingual staff will always do their utmost best to help you with your questions, if they are about selling, buying, financial or legal matters. Best Features: WE SELL HOUSES. We actively market your property to the UK, the whole of Europe, Scandinavia and Russia. We are your Real Estate professionals we have Spains most up to date web site and advertise your house on 55 property portals to ensure a quick sale for you. We offer our buyers a stress free service from their initial Inspection trip through the completion of their purchase and full aftersales support. Estate agents in Torrevieja operate differently as opposed to countries such as the United Kingdom. In the United Kingdom you have to trawl from one estate agent to the next and each has their own unique properties for sale. This is very time consuming. Torrevieja estate agents and inmobiliaria have their own unique properties for sale but they can also show you other properties on sale from other Torrevieja estate agents. If you want to buy a property in Torrevieja – the two estate agents will split the commission so the property you want to buy won’t cost you anything more. Remember to go on your instincts. Buy what YOU want to buy. Of course you should listen to advice from the estate agent, they know the local area and know the Torrevieja property market inside out but ultimately it is your decision on whether to buy a property. Don’t be swayed by an agent who is looking to influence you unduly in order to make the sale. Estate agents in Torrevieja will view a property and give a guideline at which price to market the property however ultimately the owners decide at which price to sell the property for and some unrealistically overprice their houses. Agents in Torrevieja charge different commissions, expect typically to pay between 3% and 5%. If you are looking to sell your property in Torrevieja then we recommend going for an estate agent with an office in a busy location. 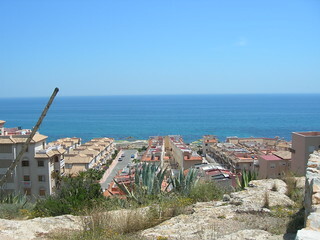 Many estate agents in Torrevieja will also have houses and apartments for rent in Torrevieja. Do consider a long term let or rental in Torrevieja or rent a villa or apartment in Torrevieja as a way to get to know the area first. 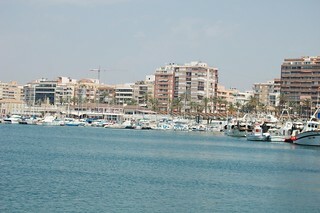 15 min walk to Torrevieja town or harbour. Ideal for either letting or permanent living. Estate Agents in Torrevieja Page Summary – This page contains unique content about estate agents (known in Spain as inmobiliaria) in Torrevieja as well as a directory of known estate agents in order to help people looking to let or buy property in the Torrevieja area.